London electro duo The Black Ghosts bring to the table new single ‘Some Way Through This’, and in ways it’s their same old technique, but they’ve got something else there for this time through. 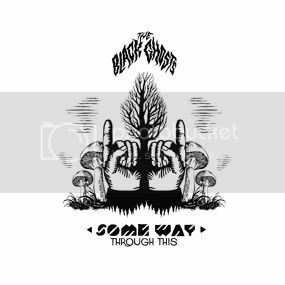 A fairly underground band right now, The Black Ghosts have the sound and the potential to get themselves onto popular radio stations if they keep their hard work up. The lyrics are rather haunting and violent for what you’d expect from most bands of this nature. Lines such as “If my hands were round your throat / Would you tell me what I need to know?” are what you’d find odd from a modern electro band, but surprises aren’t always bad â€“ this being such a case. The haunting vocals only add to this all the more. Although fairly repetitive, there’s something there, which somehow stops this song from being boring, and wanting to turn it off. However, some may think otherwise with this. If you don’t fancy the sound of the radio edit or the original on the CD, you’ve always got the 4 other remixes to look forward to.